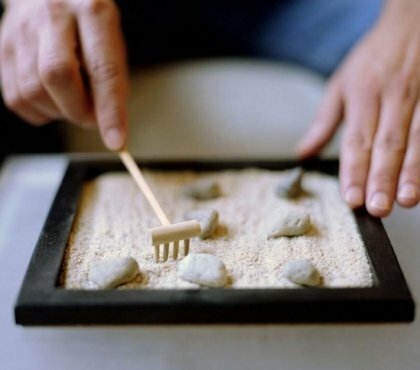 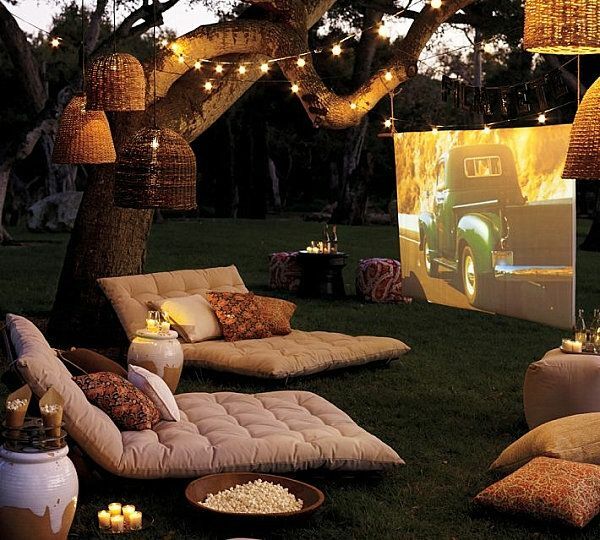 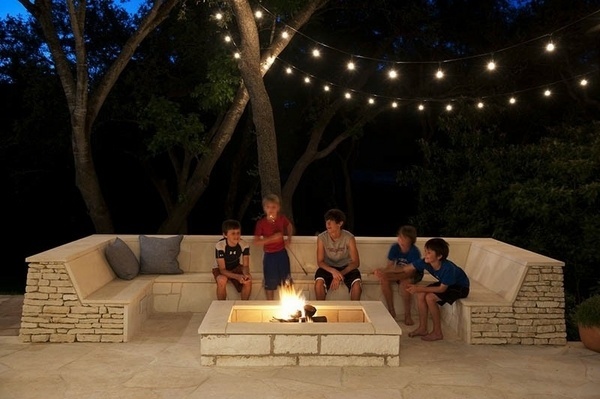 With the arrival of warm summer evenings we all want to spend more time outdoors. 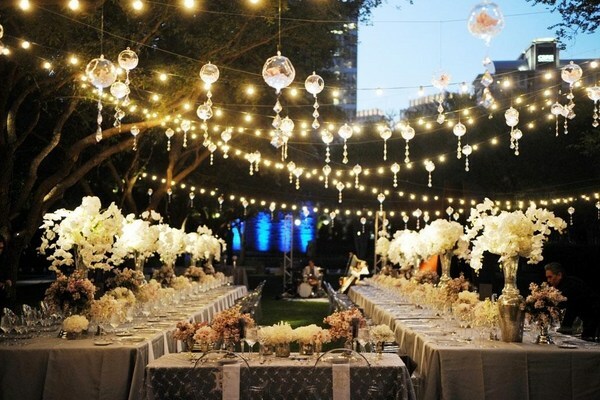 It comes the time to think how to illuminate a dinner with the family, a garden party or even an informal gathering with friends in the backyard. 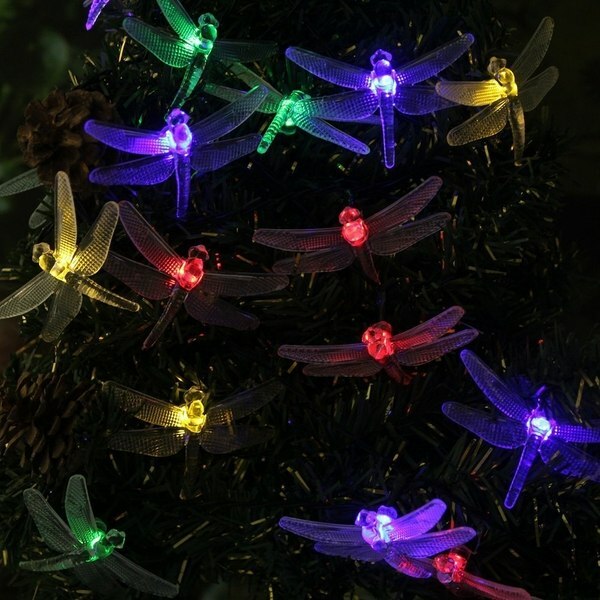 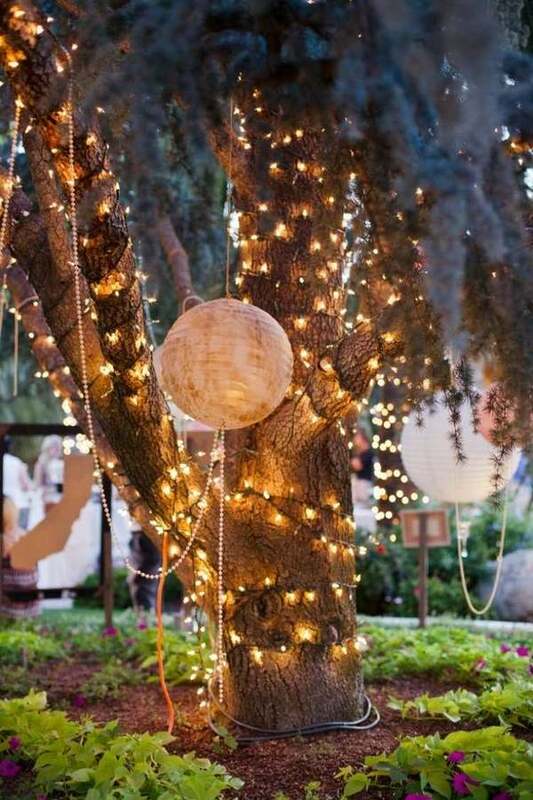 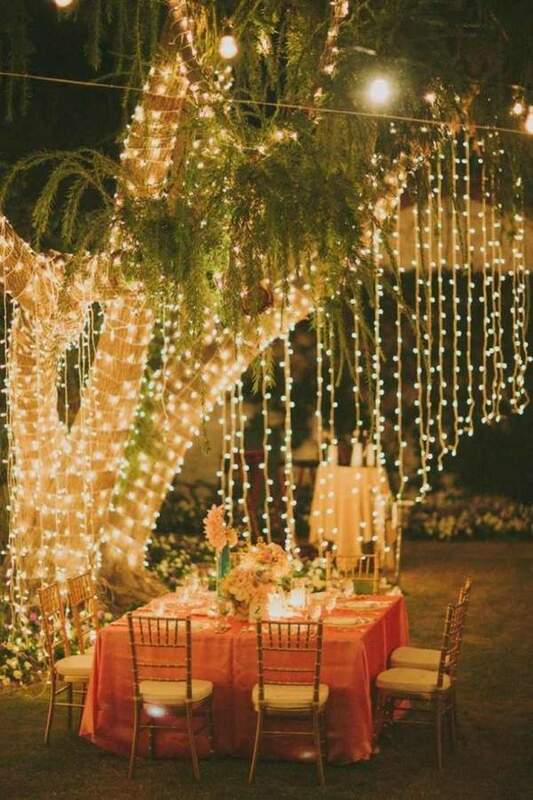 Of course, there are numerous ways to add light to your garden and you can use different light sources, from candles to full light, but the atmosphere more is much more festive and magical with awesome string lights! 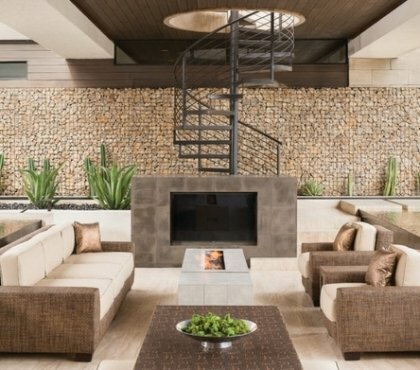 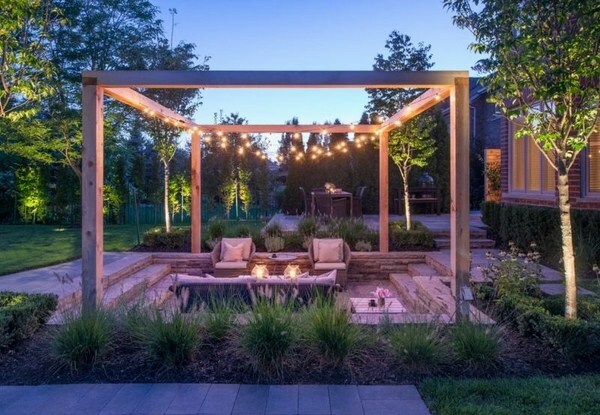 You will agree that light can play a major role in the design of the garden, so, with the help of light you can create a fantastic atmosphere for your evenings. 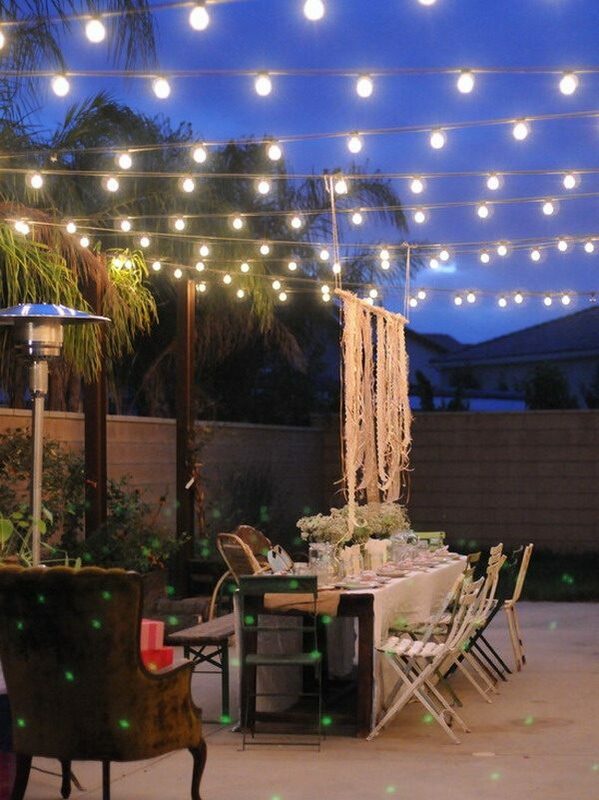 Many people use string lights as Christmas decoration as they have become a traditional element of the holiday decor. 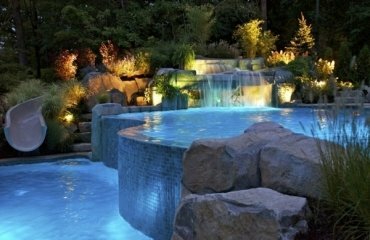 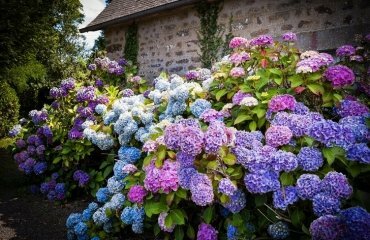 However, you should not deprive yourself from the magic of light and a festive feeling in the middle of the summer, right? 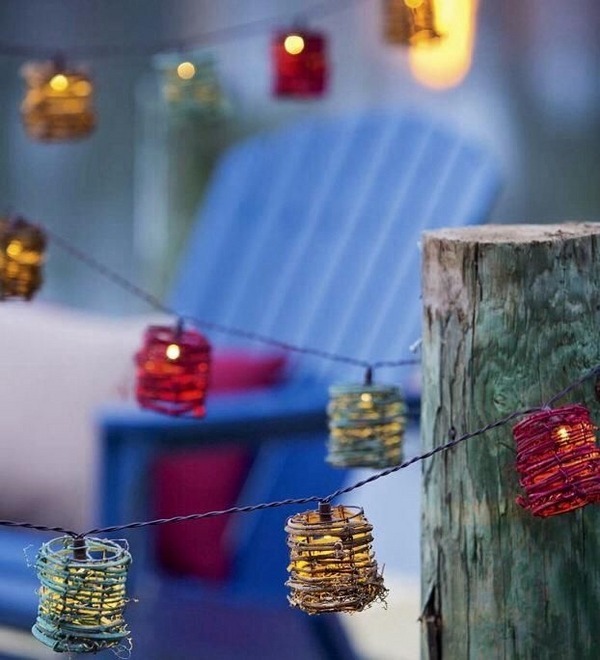 String lights are offered in such a wide variety of designs that you can use them as garden decoration in the daytime and a spectacular scenery in the evening. 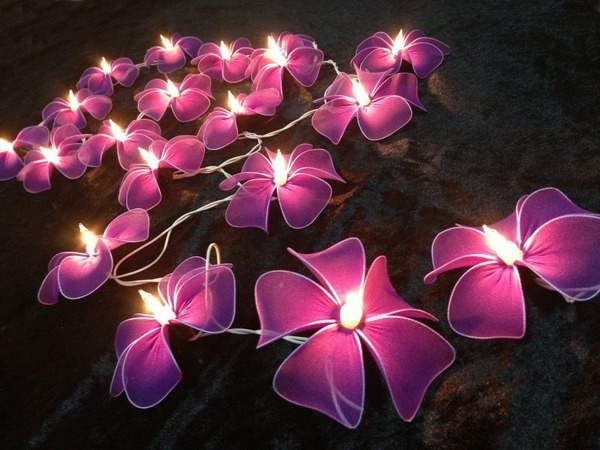 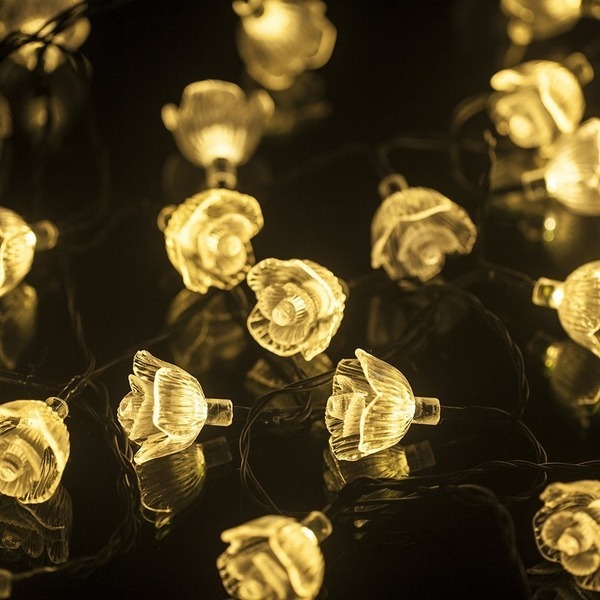 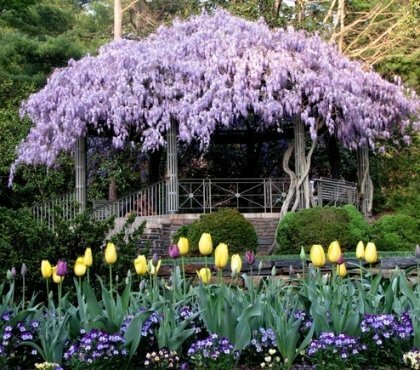 For example you could use orchid string lights to decorate your backyard and at night the flowers will be a perfect source of light which adds a romantic touch. 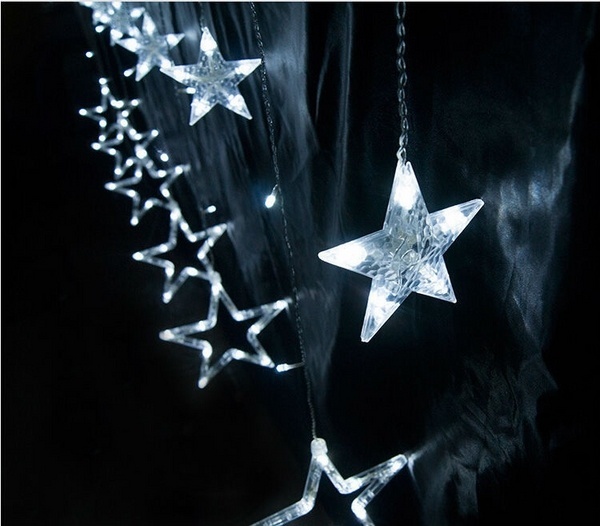 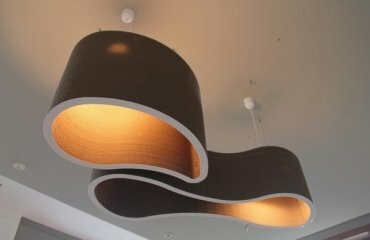 The strings of lights could be invisible if you wished so. 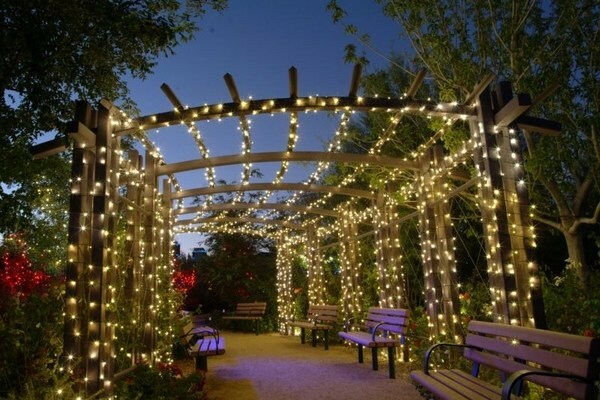 Attached to your pergola they will remain unnoticed until you switch them on. 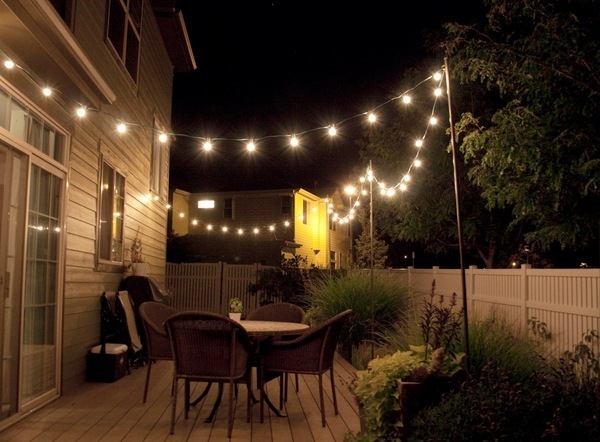 Many people are concerned with power consumption and avoid using string lights as garden lighting. 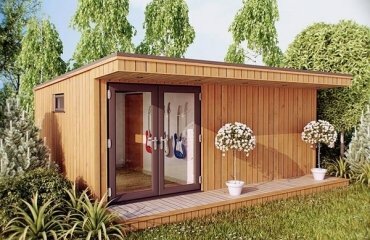 There are quite many cost effective and efficient options which would save you from such worries. 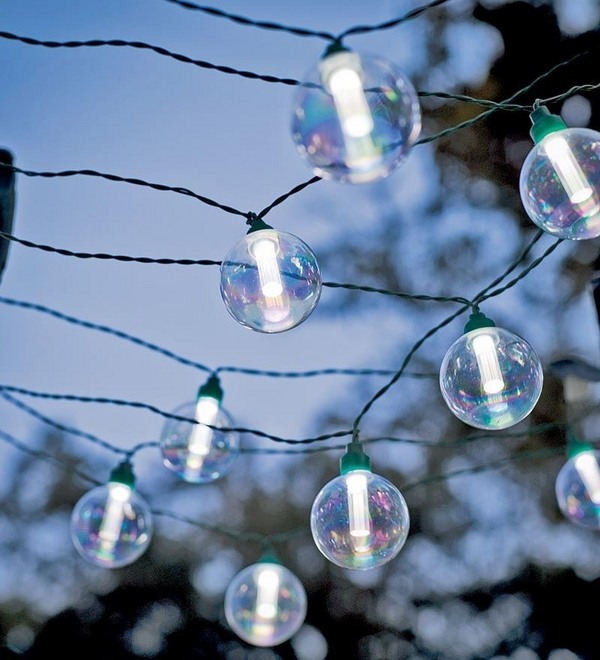 Solar string lights are the perfect choice. 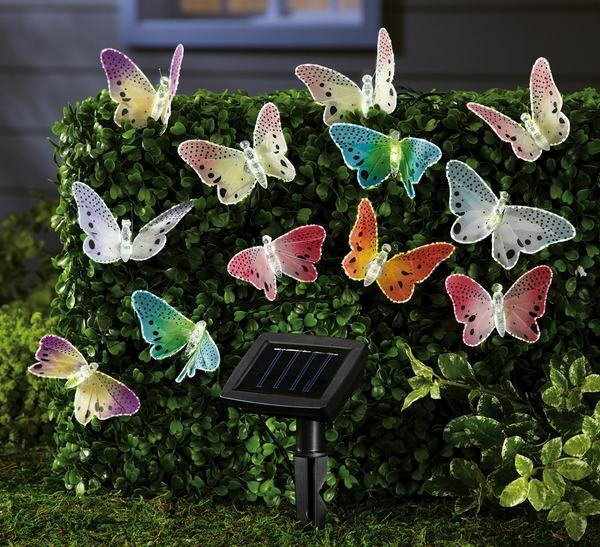 They will create beautiful visual effects in your garden at night and power consumption will be nil as solar lamps have an integrated solar cell that charges the battery. 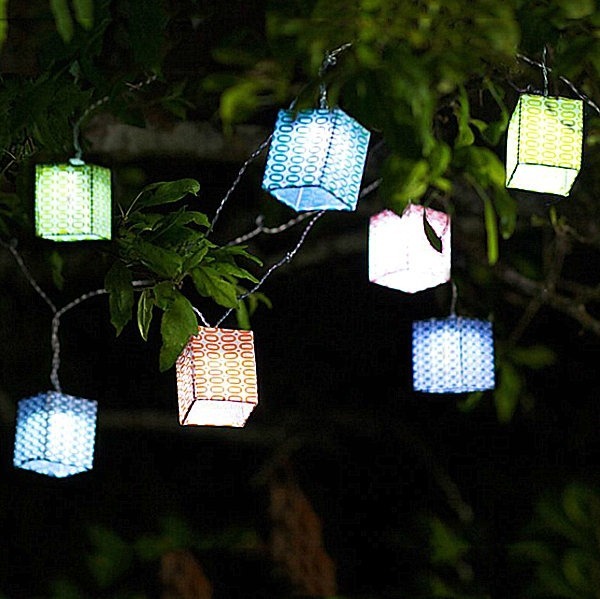 Modern solar cells lamps are energy independent, they do not need external power supply, and can be placed anywhere around your garden. 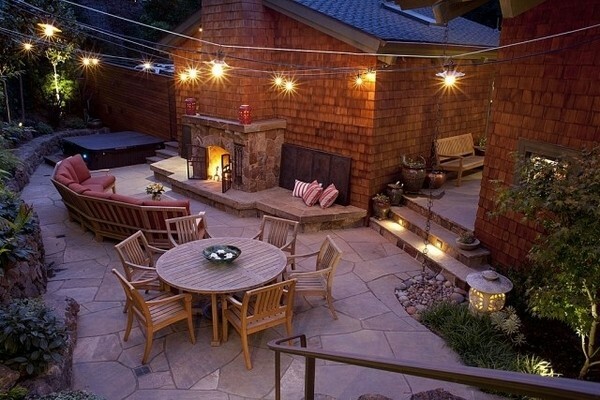 LED string lights are another option. 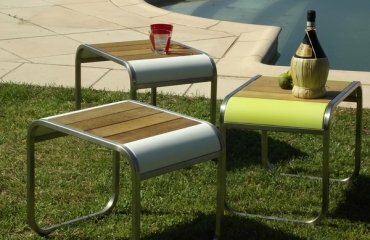 They usually have a high degree of moisture protection which makes them perfect for outdoor use. 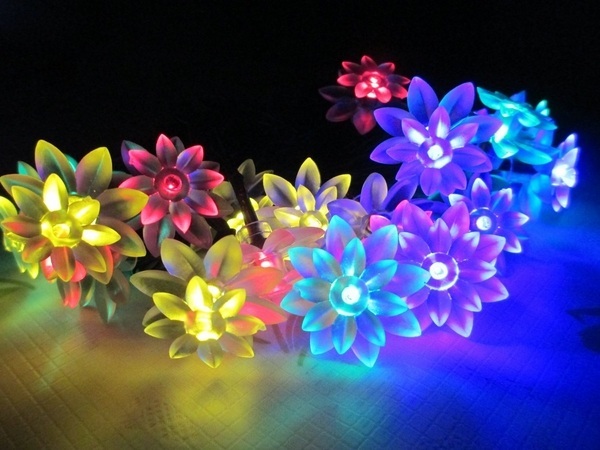 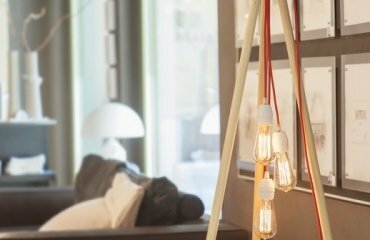 In addition LED lighting has a very low power consumption and the reliability and security makes them safe for use in areas where there are children.